Occupying an 18th-century Neo-classical building, the Prado Museum is home to over 20,000 works of art that include around 7,500 paintings, 8,000 drawings, 4,800 prints, and 1,000 sculptures and other works of art and historical documents. Some of the greats whose works adorn the Prado walls are Francisco Goya, El Greco, Diego Velazquez, Hieronymus Bosch, Peter Paul Rubens, and Titian. Thousands of other paintings from the Renaissance and Baroque period are also on display at the Prado Museum. 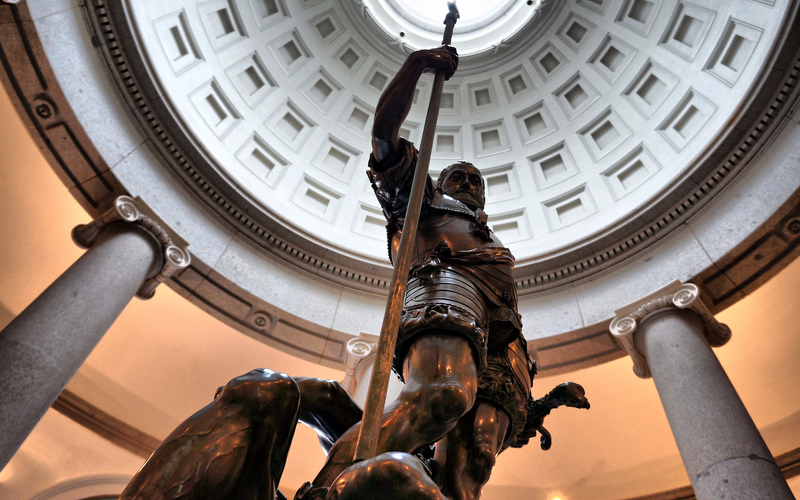 This 2-hour guided tour of the Prado Museum will show you the best highlights of the museum. 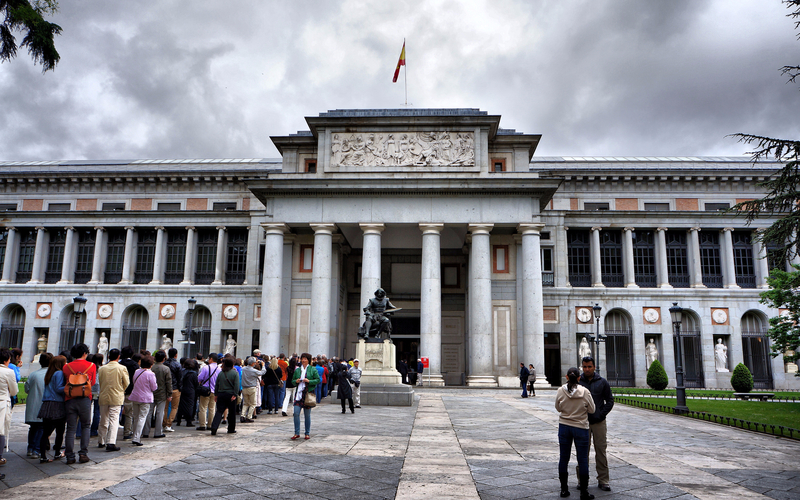 Your guided tour of the Prado Museum begins at the designated meeting point (Madrid City Tour Bus Information point at Calle Felipe IV) near the museum where you will meet your licensed guide. Your tour guide will then lead you past the long ticket lines, through a brief security check and then into the museum. The guided tour is available in 2 languages, English and Spanish. In the company of a guide, you will breeze through the galleries as your guide shows you the classics, giving you all the information you'll need to make this visit memorable. Some of popular works of art include "The Garden of Earthly Delights" by Hieronymus Bosch, "The Descent from the Cross" by Roger van der Weyden, "Las Meninas" by Diego Velazquez, Goya's "Maja" series, "Emperor Carlos V on Horseback" by Titian, "David Victorious over Goliath" by Caravaggio and many more. After the tour, you are free to stay at the museum for as long as you like. 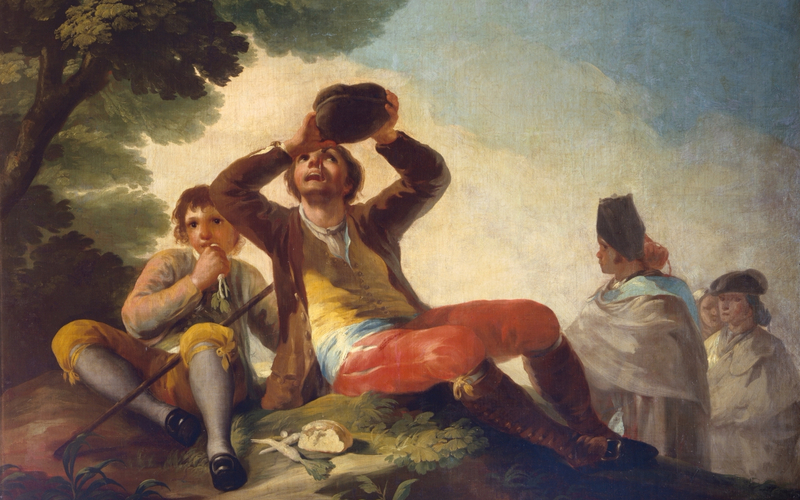 Discover the beautiful works of art on display at the Prado Museum in the company of an expert guide. Get skip the line access as well and head straight to the museum without queuing up. Enjoy the eclectic collection of the Spanish monarch which includes The Garden of Earthly Delights by Hyeronimus Bosch and The Descent from the Cross by Roger van der Weyden. Learn about the relations between patrons and the painters at the Goya rooms with masterpieces like The Family of Charles IV. Bear in mind that the Museum shall be closed on December 25th and January 1st. Your tickets are valid for a period of 24 hours. • You will receive your Prado Museum guided tour voucher in a few minutes. • On the day of the tour, carry a printed copy of the voucher and head to the designated meeting point - Madrid City Tour Bus Information point at Calle Felipe IV, next to the Prado Museum. • Display the voucher to your guide and begin your tour.